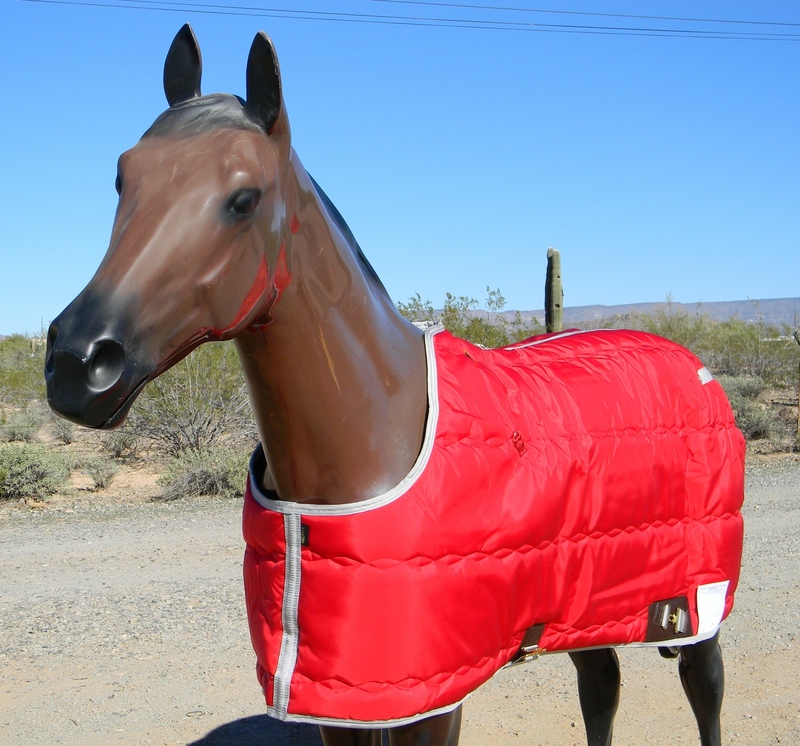 Big D Kodiak blanket custom color red w/silver trim closed front only,available sizes are 74″,76″,78″ or 80″ limited to stock only.Blanket is usually costs $148.00. 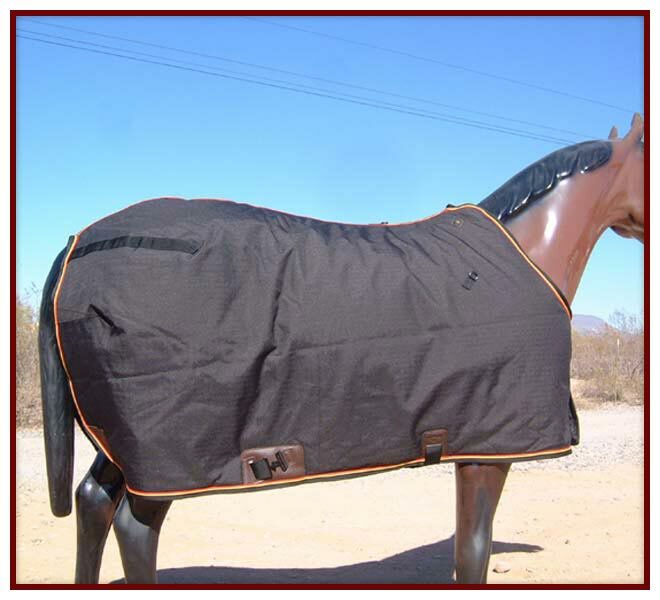 The durable 420 x 100 denier nylon shell is a popular blanket that combines a great look with added protection. 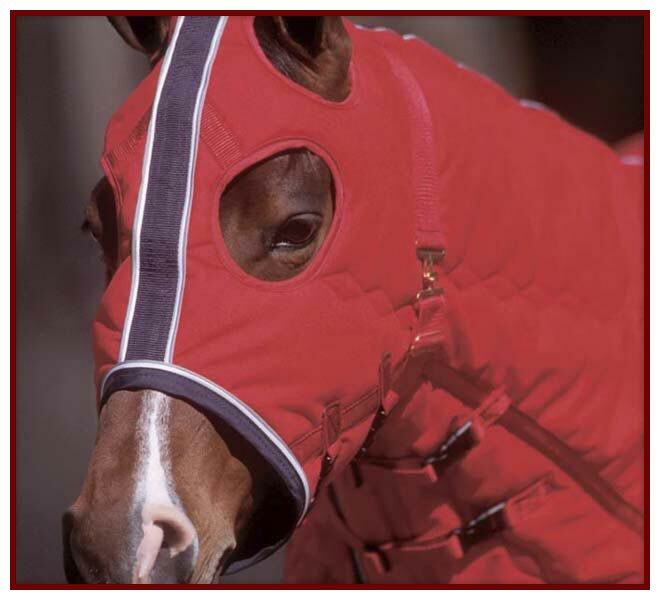 For extra warmth the 350 gram virgin fill is the perfect choice. 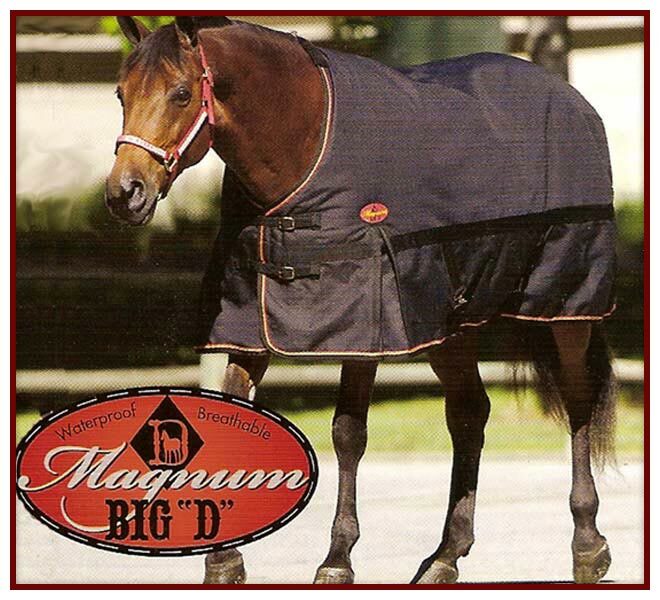 The Big D show coat liner is designed to lay the hair flat, while continually polishing the horses coat to show quality. Our exclusively woven liner material is designed to absorb the body’s heat while allowing the blankets to breathe and reduce sweating. All fittings are test for cold crack resistance to -30 below zero. 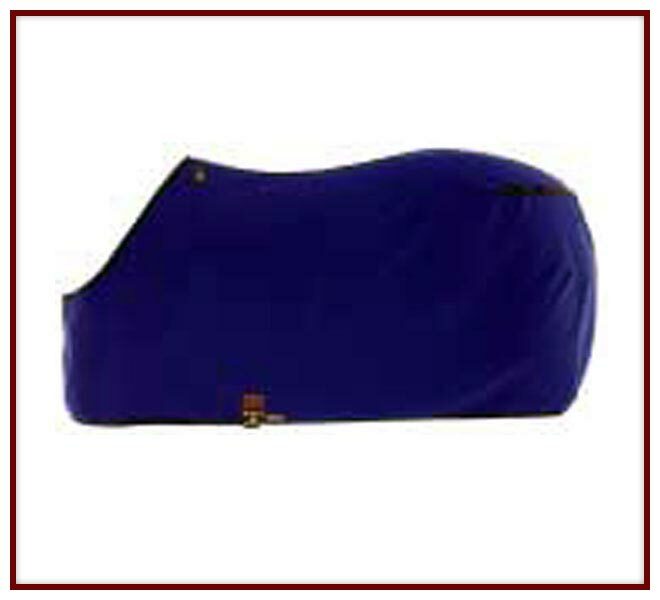 Made of 2″ webbing and reinforced show vinyl supports Bid D Fittings are standard on all our blankets and sheets.